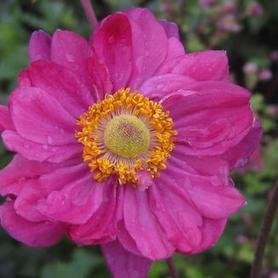 'Cinderella' Windflower is another compact beauty from the Pretty Lady™ series of Anemones. 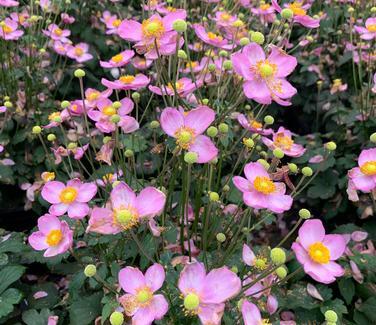 The flowers appear in August and September, with thick textured single soft pink petals. 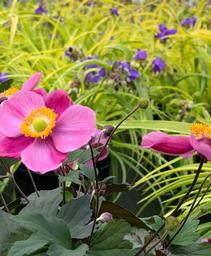 Anemone 'Cinderella' has thick short flower stems so the blooms do not flop. 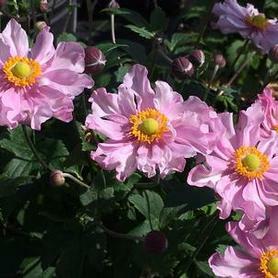 Blooming for an extended time in mid summer to early fall, this introduction from Plants Nouveau also produces interesting fluffy white seedheads after flowering.